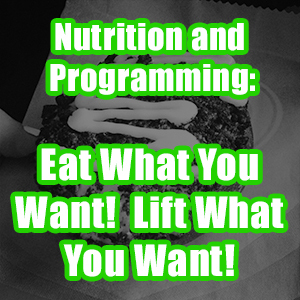 If you read most blogs written by coaches (weightlifting, powerlifting, or strength and conditioning), you will read about programming, technique, or preferred exercises. However, there are so many elements to coaching outside of what you typically hear – especially if you are a coach in the private sector. It’s these factors no one talks about that really make a coach great or not. And these are what hold a lot of coaches back. I started focusing on the sport of weightlifting at the end of 2013. By 2015 I had athletes on Team USA. This year we had four of our team members on the Youth World Team, and we have four team members heading to Turkmenistan for the Senior World Championships. Eight total Team USA athletes gives us more than any other team in America. Next year we are projecting to have four Youth, four Juniors, and four Senior World Team Members. 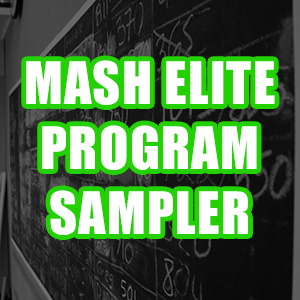 Before weightlifting, Mash Elite Performance had one of the most successful Athletic Performance programs in America. At one point we had three locations and were constantly sending athletes to Division I programs in sports like football, basketball, softball, baseball, wrestling, track and field, swimming, and even water polo. We have worked with NFL, NBA, MLB, and MMA professional athletes. I must also mention we’ve always had amazing powerlifters, even though they don’t get enough of the spotlight. Although I am very proud of what we’ve accomplished at Mash Elite, none of this is meant to be bragging. I just wanted to show all of you that success is a formula. There are certain elements I apply to coaching that have helped to bless us with amazing athletes. Contemplating our success one night at the AO3, I started wondering if I could teach these factors to other coaches. The answer was a definite yes. But here’s the thing: for coaches to learn, they have to put their pride aside. Pride is the number one reason most coaches aren’t succeeding. They want everyone to believe they have all the answers. When another coach starts producing better athletes, they would rather make excuses and false accusations instead of learning from that coach. This is the biggest mistake in coaching, and it leads me to my first element that leads to success in coaching. You might hear this one a lot, but do you act on it properly? I have learned from so many coaches – like Joe Kenn, Louie Simmons, Dragomir Ciorsolan, Zach Even-Esh, and Sean Waxman just to name a few. Finding a mentor is critical if you plan on being successful. Finding a mentor isn’t as easy as just calling a coach and asking to hang out. You have to find someone who matches your personality. I recommend going to coaching conventions, symposiums, and clinics and getting to know coaches who are doing better than you. When you meet one who seems to click, someone who could actually be your friend… there’s the one. Here’s another key: you need to give as much as you take. Actually the key is giving more than you take – especially in the beginning. Hopefully this comes naturally to you. When I met Mike Bledsoe, one of the creators of the Barbell Shrugged Podcast, we became friends almost instantly. Immediately, I wanted to do as much for him as possible simply because he was a buddy. I started coaching him for free without wanting anything in return. 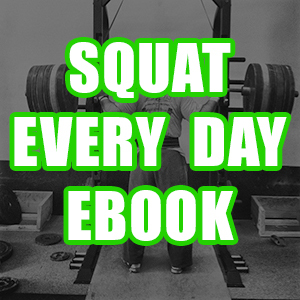 I wrote for Barbell Shrugged’s website without wanting anything in return. I just liked Mike and all the dudes at Barbell Shrugged. Those guys literally changed my life as you know it by teaching me about this wild and crazy online world. Now I can affect the lives of so many more people while hanging out with my children on a daily basis. If you have to be in the gym from 8:00 am to 8:00 pm everyday, it’s hard to make time for the family. I became friends with Vinh Huynh at the end of 2014. 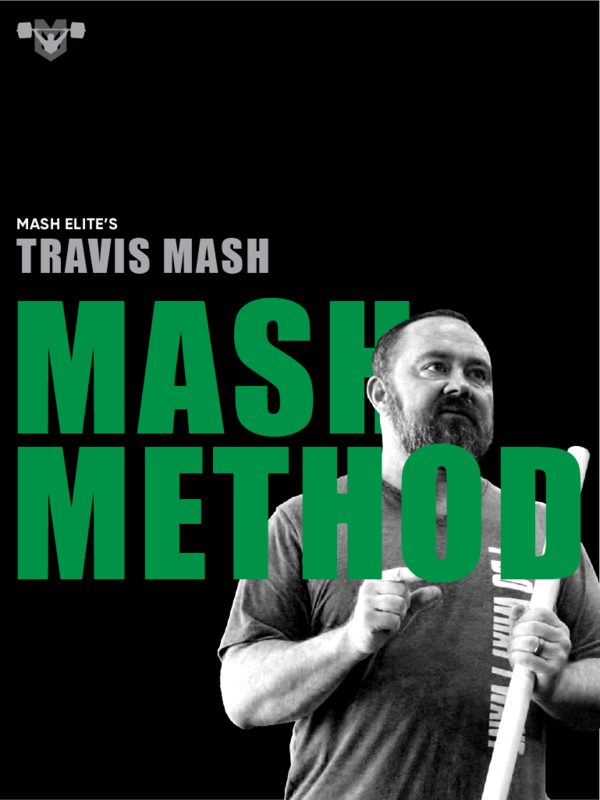 By 2015 Vinh’s gym (Undisputed Strength and Conditioning in Eagan, MN) became the first Mash Mafia Affiliate Gym. In 2014, I reached out for help to all the gyms in Minneapolis. I have a daughter in Minnesota, and I wanted to establish a base in Minneapolis for seminars and clinics. I wanted to see her more often, but I needed help. From the moment Vinh agreed to help, we became like brothers. There’s nothing I wouldn’t do for him. His weightlifting team exploded onto the scene almost right away. 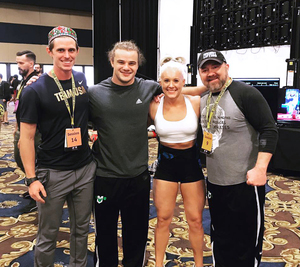 Less than two years after opening his gym in 2015, Vinh had three of his athletes on Team USA: one senior on the World Team, one youth on the Youth Pan American Team, and one collegiate on the University World Team. Instead of congratulating him and learning from him, a lot of the other coaches in Minnesota started spreading rumors that he was just getting lucky or cheating. They said his programming was too hard. They constantly tried to steal his athletes – and are still trying to this day. This is the behavior I was talking about when I referred to pride being the number one cause of mediocrity in coaches. Whether it’s Vinh or me, I don’t understand why the coaches simply don’t ask us what we are doing. I would allow any coach to come hang out, ask questions, and learn. I know Vinh would do the same. My mentors are also my friends. People like Sean Waxman, Kevin Doherty, and Don McCauley helped me when there was nothing in it for them. Now there is nothing I wouldn’t do to help them. In weightlifting, we are all on the same team. At least we should be. We should all desire to see Team USA improve year in and year out. Lately we have done just that. We’ve watched our athletes improve at the International level. A big part of that is the relationships that are forming between coaches. I couldn’t believe it. I thanked him, and he told me that we are all on the same team. That’s class! I’ve never had a coach help me during the heat of battle. I can say I learned a valuable lesson I will definitely pass along. This goes hand-in-hand with the first element. Pride and arrogance will also keep coaches from continuing to learn. A big red flag is using the exact same program template, the same exercises, and/or the same technical cues year in and year out. A great coach is always improving and always evolving. Not one of my athletes has ever performed the same program twice. There are lots of ways to continue the learning process. One convenient way I just discovered is audio books. 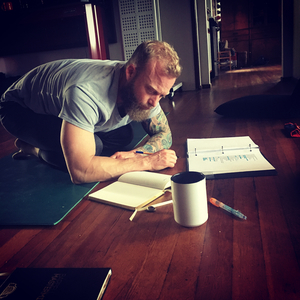 I am listening to Conscious Coaching by Brett Bartholomew, and it has already helped me connect with my athletes in a better way. I’ll probably listen to it twice in order to really put it to use. If you are like me, you have a few minutes every day as you drive to and from work. You can either waste those few minutes, or you can put them to use. I choose to improve myself as a coach. 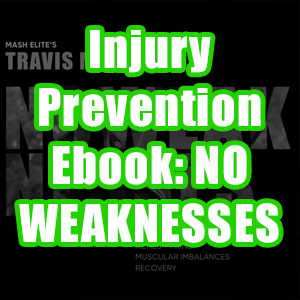 There are also clinics, courses, seminars, articles, and traditional hardback books you can use to improve as a coach. With the Internet, your options are endless. The only limit holding you back is making time. I recommend choosing a source you enjoy, putting time on the calendar, and committing to constant growth. This one sounds easy, but unfortunately most coaches struggle with this one the most. They have this sense of old school-ism where they have to be cold and withdrawn. I don’t understand this at all. My athletes come to me because they know I care about them. We have a lot of fun. I tell them when they do well. I encourage them to be the absolute best they can be in athletics and life. I use encouragement rather than negativity to coach my athletes. They hear more about the things they are doing right than the things they are doing wrong. This leads me to the next element. I fill my team with coaches and athletes who are also encouraging. My athletes are going to see more smiles and hear more encouragement than they will ever see me shaking my head or shouting negative comments. I expect the same thing from my athletes. Nathan Damron and Hunter Elam do incredible jobs mentoring the other athletes. You should see the faces of Morgan McCullough or Hannah Dunn when Nathan and Hunter encourage them. We are a team. We win together when one of us succeeds. We lose together when one of us doesn’t do well. Lately there has been a lot of winning. Culture starts with the coach. The athletes’ attitudes will normally reflect the attitude of the coach. Athletes will normally be attracted to programs with coaches who share the same values and attitudes. Now that doesn’t mean that a few bad apples won’t show up, but it’s up to the coach to either mold that apple or cut it from the tree. We made this realization about a year ago, and that’s when I instituted our latest policy. Now if an athlete is looking to join our team, they have to do a tryout. I have to approve them, but that’s not all. The entire team has to give them a thumbs up. This is the one most coaches fail at. They expect athletes to walk in their doors, and they get mad when the athletes end up in someone else’s gym. If you read the entire list of elements, you will see a list that leads them to certain coaches. Athletes naturally flow to clubs with coaches who are always learning, coaches who are nice, and gyms with good coaches. My athletes do most of the recruiting for me. They enjoy their team, and they tell other athletes about their experience. We have fun, we get strong, and we win. Athletes see that. It draws the type of athlete who wants to win and who wants to have fun. We just acquired a new athlete who’s going to take the sport of weightlifting by storm. She met one of our incredible youth athletes, Ryan Grimsland. Ryan told her how much he has improved with our team, and he told her how much fun we have as a team. The next thing you know, we have another amazing athlete. The same goes for our athletic performance athletes. If you help athletes get results while having fun, they are going to tell other people. Being nice at competitions goes a long way. If someone needs help, then I’m there to help. You’ll be surprised how many athletes you pick up just being nice. That shows what a terrible culture that weightlifting had before this new wave of coaches. Last thing, I recommend using Instagram as a tool. If you see a promising athlete who looks to be without a coach, I recommend sending them an encouraging message. If they don’t have a coach, you could offer your services. If you don’t know them, this is not the time to give them technique advice. I see this mistake all the time. You come across as a jerk with unsolicited advice. You have to earn the right to coach someone. It makes me chuckle when I see a so-called coach critique someone online. Remember, when you comment on someone’s video, the first thing they’re going to do is look at your profile. If you don’t have any athletes to your credit, you are going to get laughed at. Right or wrong, that’s what’s going to happen. 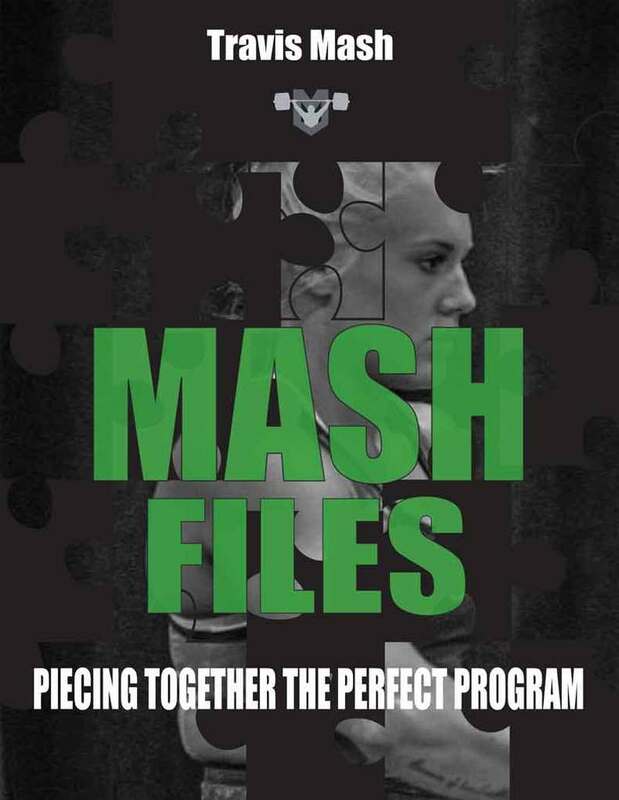 Soon we will be releasing our newest book, The Mash Files. It’s all about individualizing each program for your athlete. It’s not just programming, however. There are so many elements that are personal to each athlete: recovery, nutrition, accessory work, and coaching relationships. Guys, you can’t coach each athlete the same way. I recommend all of you read Conscious Coaching by Brett Bartholomew. You have to spend quality time getting to know each athlete – and only then can you get to know what makes each athlete tick. If you are putting some program on a board for your entire team to follow, you can rest assured you are not going to beat my athletes. If all you do is sit around and talk about how your technique is the best or your programming is the best, you are going to die an unfulfilled coach. If you lurk on social media giving unsolicited advice, you will die a joke. I am being aggressive with my wording because I want the best for all of you reading this. It’s easier to be a nice guy. That’s the main moral of this story. If you’re nice and surround yourself with nice athletes, you will probably succeed and have a great time doing it. I hope this helps some of you and opens the eyes of the rest of you.